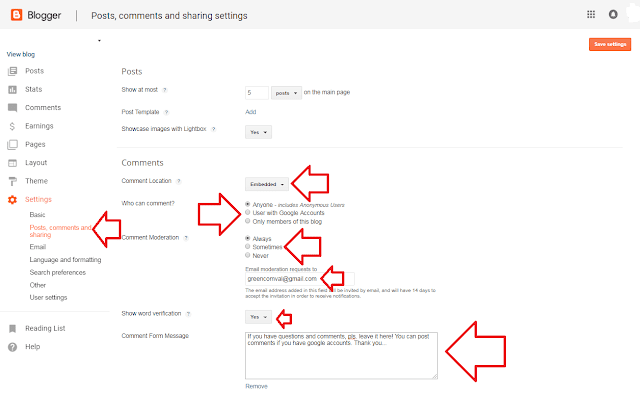 Using the blogger comment bar is the best you can select, it's better to use the own comment bar inside the blogger or blogspot platform. Rather than use the Google Plus comment bar. 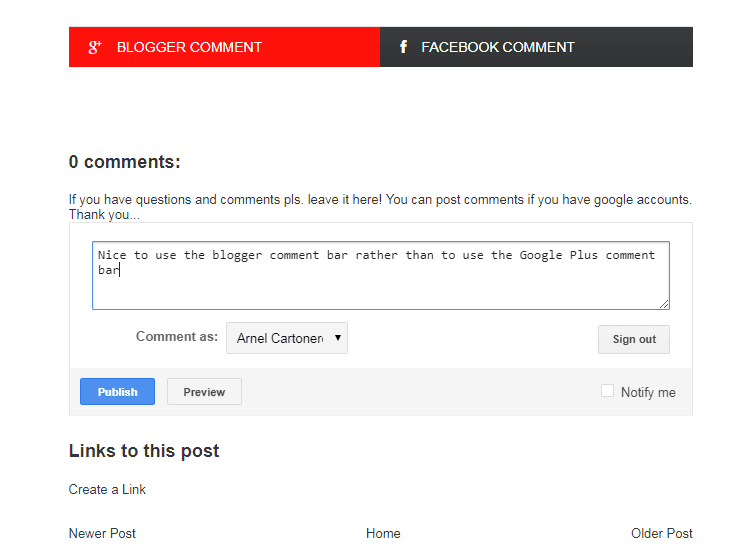 Using the blogger comment bar, all the comments will display on your dashboard. You can click the comments menu on the right side of your dashboard. And all the comments information will be displayed. You can check either it is spam or not using the moderation setting. And you can send the spam comments by clicking the spam button at the top or you can delete it. In using the Google Plus comment bar, like all the comments serve as a spam. In my experience in using this comment bar several years, there are no comments showing in your post. This is what the most advantageous, because it's less spam comment. All the comments like a spam will be blocked. 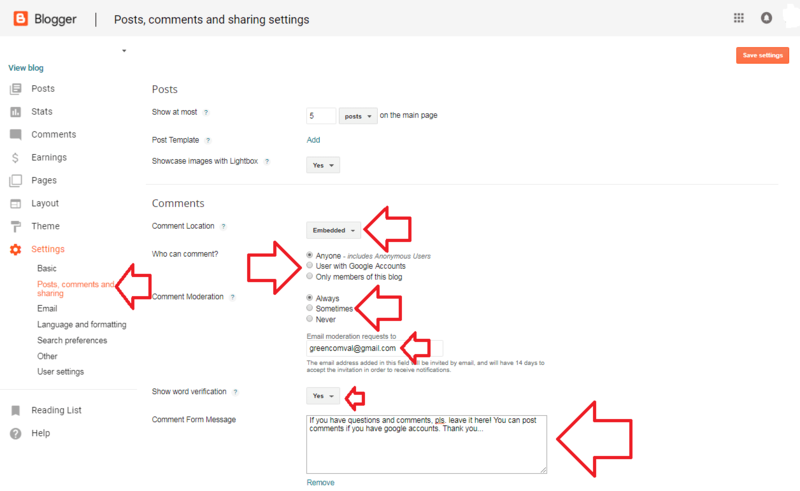 If you're not satisfied with using the Google Plus comment bar, below here is the guide how to set-up the blogger comment bar using your dashboard. Login in your blogger account. Select your blog site to open. 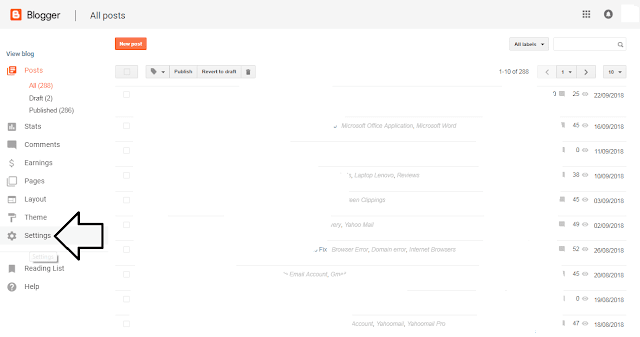 Once it will open, find and click the settings menu located at the right side of your screen. Then click post comments and sharing. Look in comments then comments location select "embedded". Then in Who can comment option, select Anyone. If you want your user post anonymously, select "User with Google Accounts". In comment moderation, select "Always". Then type your email address in "Email moderation requests to bar". Select yes in "Show word verification", then type in the below portion in the test field area your message to your visitors. Then don't forget to save your settings, just click the save settings button at the top right side of your screen. I say it again, this two comment bar serves by Google to us is all are good. But saying for the convenience to our users, I surely recommend the blogger comment bar. You can serve fully what the rights to your visitors who open your sites by serving their comments to you. Even it is a spam or not. The very important is to use the moderation, give decisions that this is a spam and have to put it in the garbage can. If you have comments just type your comments below here and follow us on Google plus, Twitter, and Facebook.